Mamahood is being offered at an introductory rate of $15 per session or $35 for all three. Rates will rise in the fall to $25 per session and $60 for all three in the series. Receipts will be provided upon request for you to submit to your extended health insurance provider. Parenthood has a way of turning priorities upside down. It can feel pretty scary to realize that they way you intended to parent doesn't feel "right" anymore, or that the way you are parenting is harder than you expected. This session will have specific activities planned, but will also be flexible to respond to the needs and priorities of the group. 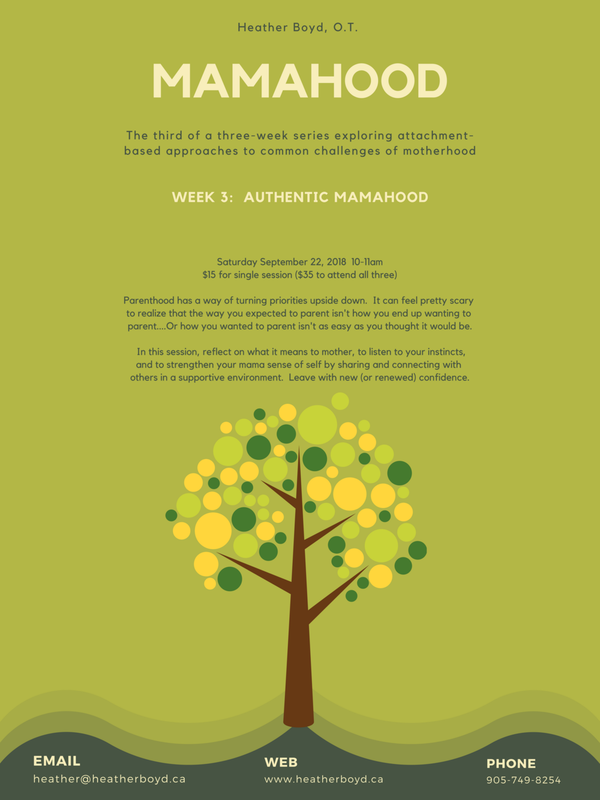 The concept of mothering is applicable to any nurturing caregiver (fathers, grandparents, and nannies) and I welcome anyone with the desire to explore their authentic nurturing role to join us.